Ground Beef vs Ground Chuck – What’s the Difference ? Ground Beef vs Ground Chuck what the difference ? If you are a little confused as to the difference of these two types of ground beef then don't worry you are not alone it can be a little confusing at first. What is ground chuck ? Ground chuck is usually the most common ground beef whereas other ground beef products such as ground round and ground sirloin, while still popular, are more often used for steaks as well. What is Ground Beef ? Essentially, regular “ground beef” can come from any part of the animal and is most often a combination of various parts whereas “ground chuck” indicates that the beef came from one part only, which is the cow’s shoulder. Maybe you have noticed that ground beef and ground chuck look almost identical. Even the packaging sometimes doesn’t accurately differentiate the two. The truth is that they are very similar in composition, taste, and appearance, for example. They are both technically beef, after all. They differ mostly in the areas that aren’t identifiable on the surface, namely calories, protein, and fat content. Ground Beef vs Ground Chuck: calories. If you are watching your calories, certain kinds of beef can actually free up some calories for other parts of the day. As far as ground beef and ground chuck, there is a decent calorie difference, though it’s not so significant that you can’t eat one or the other unless your calorie restrictions are extremely strict. Typically, ground beef, especially if it is lean, will have a lower calorie count than ground chuck; for an eight-ounce portion, it is usually about a 200-calorie difference. An eight-ounce portion of ground chuck is roughly 760 calories while the same serving size of ground beef is around 560 calories. Ground Beef vs Ground Chuck: fat content. Ground beef and ground chuck differ in fat content as well, only this time the chuck trumps the beef. Eight ounces of ground chuck will typically contain about 60 g of fat, which is rather significant compared to ground beef’s 36 g of fat. The public’s perception about fat has changed dramatically over the years and while many diets such as the ketogenic diet welcome eating foods that are high in fat, others choose to reduce their fat intake. It will depend on your personal preference. While other styles of meat may contain more protein, both ground chuck and ground chuck usually hover around the same number. Both an eight-ounce portion of ground chuck and an eight-ounce of ground beef will yield about 55 g of protein. Primarily due to the higher fat content, ground chuck will typically taste better, though it always depends on personal preference. 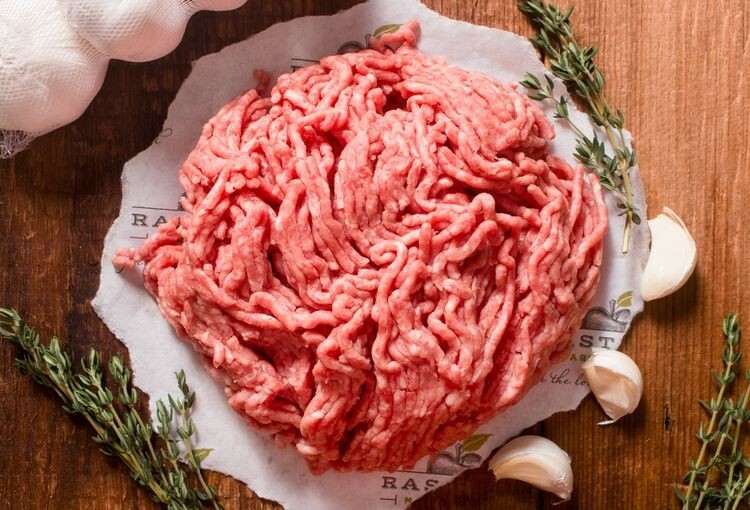 The fat means that ground chuck will likely be rich and flavorful, more so than ground beef. In the end, it will come down to which you personally prefer. With ground chuck, you are getting beef from a single section of the cow as opposed to ground beef which likely contains portions from all over the place. For some, this may not be an appealing idea, though that doesn’t necessarily mean that the ground chuck will be higher quality. As with most other meats, neither ground chuck nor ground beef contains carbohydrates so as far as your diet, you will probably be looking at the fat and the calories.